There is one reason why people usually choose to move themselves: to save money. As we know, moving is not cheap. As the costs rise, people look for ways to cut expenditures. Cutting out the moving team and doing it yourself is a common cost-cutting measure. It can work; you may be able to lower your budget by as much as 50% in some cases. But, don’t think that this means that you now get to move for free. You still need to open your wallet. The biggest cost is going to be a truck rental; you will still need one. Depending on how much you have to move and how heavy your load is, you may have to rent special equipment including ramps, hand-trucks, dollies, and slings. Don’t forget gas for the truck! Though you are saving some money by moving yourself, some of those savings are offset by other necessary expenses. The other benefit of moving yourself is that you or someone you know will be directly handling your valuables. This makes it easier to keep track of during the move which will save time when organizing at the new home. As well, some people are very particular with how their belongings are handled and prefer if it is some they know and trust who is doing the handling. That level of trust can give peace of mind on moving day. But, don’t forget: you need to gather people to help you move. It might be harder than you realize to find willing volunteers to give up a day to help you move boxes. Not only that, it has to be the right people. Most of your family and friends are not going to be “moving material”. When hiring professionals, it is important to consider more than just the bottom line. Don’t think of it just as hiring someone to move your stuff; you are hiring them for their experience and know-how. Do you or any of your friends know how to move a king-sized bed down a narrow flight of stairs? Any of your buddies have any idea on how to get a grand piano out of a second-floor room? Professional movers are literally paid to solve these problems. There is also the issue of safety. Movers know how to move things without damaging them or hurting anyone. Moving is tougher than it looks; not just anyone can do it. You are also paying for your time. While the movers do the heavy lifting, your energy and attention can go to all the other things you need to worry about. On the other hand, a moving team is expensive. If you don’t have that many items, you may be able to move everything with a group of friends and a small truck. Another advantage to hiring movers is that they are insured (the best ones are!). This means that if they break something or do damage to your new home, it will be covered. If your friend drops a marble countertop down your new hardwood stairs, are you really going to sue him to recoup the costs? But, if you get the right friends, you may be more comfortable using someone you know and trust. It isn’t an easy answer. You have to weigh your options carefully and decide what works best for you. Generally, if it is a small move and you don’t have many heavy things, do it yourself; bigger moves are probably best handled by the professionals. If you are going professional, you want to hire the best; that’s why you need to call Best Canadian Movers. The premier moving company in Toronto, Brampton, and the Greater Toronto Area, Best Canadian Movers has been offering moving and storage services for over twenty years. Fully bonded, insured, and licensed, we will provide you with a professional, efficient, and friendly moving experience. With our reasonable prices and tryst-worthy team, Best Canadian Movers offers the best of both worlds when it comes to professional and do-it-yourself moving. Contact us today! One of the trends that has stayed the same in the moving industry for a long time is the time when people like to move. Traditionally, the months between May and September are the most popular moving months. June 30th and August 1st are the most common moving days every year. The most popular moving day of the week is still Friday, with the rest of the weekend following close behind. What does this mean for you? When booking a moving company, consider the off months and between Monday and Thursday. It will be easier to get a truck and your company might even offer a discount. Although this trend emerged several years ago, the online review culture continues to grow. The opportunity to have their voices heard empowers consumers and has led to the popularity of review sites like Yelp and Google Reviews. These sites are appealing to consumers for two reasons: first, they allow consumers to read the reviews, opinions, and experiences of others who used the same services. This gives them the information they need when making a decision on a company. The other thing that consumers like about Yelp-like sites is that they provide an opportunity for the customer to get “justice” when they feel that they have been ripped off or short-changed by a company. What does this mean for moving companies? They need to be honest, transparent, customer-friendly, and keep their promises. A few bad reviews on Yelp can seriously affect a business. The growing use of wireless technology continues to be a growing trend in 2017. Booking moving companies online is still the most common use of technology in the industry, but the reliance on global positioning systems (GPS) is quickly growing as companies and consumers see the advantages. By using a GPS system, customers can see exactly where a moving truck is at any time. This is especially advantageous when moving long distances. Real-time updates make customers feel more at ease and allow moving companies to keep a tighter control of their fleet. Skype, Facetime, and other video app can make it easier to get a moving quote. Some companies will use this technology to view the home and furniture while still in their office. Based on what they see, they can provide a price for the move. It can be done in under an hour and no one has to go anywhere! No matter what changes in the moving industry, people still want the basics: professional, efficient, and friendly movers. That’s why you need Best Canadian Movers. Family owned and operated, Best Canadian Movers have been offering premier moving and storage services in Toronto, Mississauga, Burlington, and Brampton for over twenty years. Contact us today and find out how we can make your move the best one. Moving while pregnant or with a newborn? No problem! Plan to NOT be there– Face it: a pregnant woman does not have complete control of her schedule. Contractions, nausea, fatigue, or…well….childbirth will sometimes take over their day. Make sure that you are not TOO vital to the moving process. There is a decent chance you will need to opt out and let someone else take over. Timing is everything- Again, it may not be up to you, but if you have an option, aim for the 2nd trimester for moving. You should be past nausea and fatigue, but still able to perform some physical things. Get help– It is time to cash in on all those favours that are owed to you. Seriously, contact all your family and friends and ask for help. People don’t like to refuse to help a pregnant woman; take advantage of that! Avoid physical exertion– Work within your limits. Depending on how big you are, some things might be out of reach. If it is tiring or difficult, stop doing it. Ask for help. Don’t be a hero. 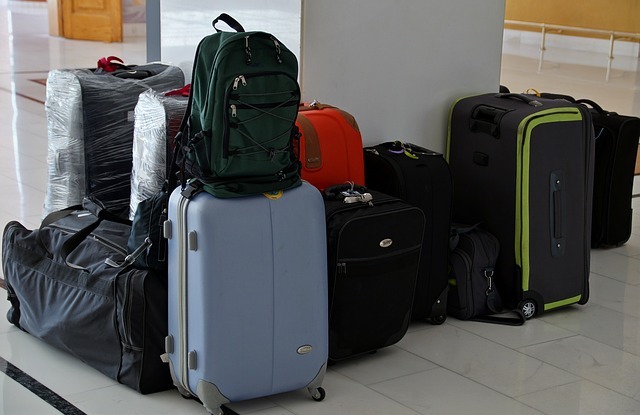 Pack a bag– Have a small bag close by you filled with things that you might need. Plenty of water; small snacks; change of clothes; anything that might be helpful and necessary. Plan to be busy– Like being pregnant, a new mother is not the master of her schedule. Nursing, swaddling, feeding and many other things may need to be taken care of if a newborn is near. Be close by and help out if you can, but make sure you are not absolutely needed for the move. Stationary jobs– Do the chores that don’t require you to move around much; pack up one particular room or area. The more stationary you can be, the more you can help out AND take care of your baby. Short-term Babysitters– If the baby is sleeping or not feeding, maybe ask a friend to stay close by and keep an eye on him/her while you move around the house and do things. Don’t go too far though. Take rests– If you have just recently given birth, you may not be fully recovered. Drink water and take quiet rests with the baby whenever needed. Don’t over exert yourself. Have everything handy– Diapers, wipes, bottles, formula, change of clothes….have everything you need near you. Pack a small bag and carry it with you throughout the move. Stick to routines– As we all know, baby routines are very important. Don’t let the move disrupt them. Stick with them as much as humanly possible. Whether moving while pregnant or with a newborn, you are going to need serious help. Reach out to the Best. At Best Canadian Movers, you will get exactly what you ordered from us with no stress or hassle. Our word is our bond and we have the testimonials to back it up. Offering moving and storage services in Toronto, Mississauga, and Burlington, we have criss-crossed all of Ontario. We have 20 years of good service in the industry and are fully bonded, insured, and licensed. But, actions speak louder than words, so contact us today and find out how we can move you! Heavy Furniture – Making It Easy! Do not put yourself at risk. It is easy to injure yourself while moving heavy furniture. Strained back, pulled muscle, broken toes, bumps & bruises; there are dozens of way to get hurt. Why chance an injury? Get involved and do what you can, but don’t get hurt. Big or small; old or young; woman or man; we all have our physical limits. Make sure you know yours. Be safe. You have probably seen them before. Thick, durable, and usually blue or black in colour, moving blankets are designed to protect your furniture before a move. Using strong tape, wrap your furniture in the moving blankets. Thick and sturdy, the blankets will help prevent your furniture from being nicked and scrapped along the way. You can also put them under the furniture to avoid scraping floors. Taking all your items off of a shelf before moving it should be obvious, but many people still attempt to move drawers and shelves with their items still on/in them. The rational is that it is easier to just move the whole thing rather than clearing the shelf and putting everything back in the new place. It is a great idea, but only if it works; which it usually doesn’t. No matter how well you secure things and how carefully it is carried, books and other items will come off the shelf. If not when being physically moved, then while in the truck. It will happen. As for the drawers, you may secure the doors so they do not open, but it is going to make the furniture much heavier and more difficult to move, and you risk damaging the items in transit. Bite the bullet and empty those drawers and shelves. To avoid any nasty surprises on moving day, take a look at your furniture and make sure that you are going to be able to easily get it out of the house. It may be possible to do a visual check, but you may want to bring out a measuring tape to be sure. Check and see if everything you need to move will fit out the doors and down the stairs. You may have some items that you actually assembled inside the house and are too big to move out. In cases like this, see if you can get the items out of a window. Consider disassembling the furniture and re-assembling it at your new home. Take drawers out and, if possible, remove legs off of furniture to make it more wieldy. Sometimes all you need is a few inches. If you are in a building, don’t forget to reserve the elevator. You may be able to move some of the heavier items on your own, but other things are going to be impossible, even with a group of friends. Have you ever tried to move a piano? Or a king-sized bed? It isn’t just about safety. If not moved properly, items can be scratched and damaged. Professionals have the experience, knowledge, and equipment needed to carefully and safely move your large items. If you are going to hire professionals, then go with the best. Best Canadian Movers has over twenty years of service in the Toronto, Mississauga, and the Greater Toronto Area. Fully bonded, insured, and licensed, Best Canadian Movers can move anything you put in front of us. Let us give you a professional and stress-free moving day. Your valuable possessions are safe with us. Contact us today for an estimate. The climate is going to be your biggest challenge. It can change everything. In December 2013, Toronto was hit with an ice storm that crippled the city for days. Ottawa faced a similar storm in 1998. There are dozens of smaller storms every year. An incoming snow storm may make it unsafe for the moving trucks to be on the road. If switching moving days is not an option, at the very least, you can plan for the storm. So right up to the last moment, be sure to be checking the weather. More than 30,000 Canadians went to the hospital after slipping on ice in between 2005-2016. In all likelihood, tens of thousands of more people slipped and it was never reported. It has happened to all of us. Now, imagine slipping while carrying a heavy bed frame. Safety is priority on moving day. Clear all of the snow from the steps and the walkway and salt the ice. Don’t start any moving until you are sure it is cleared. Keep a constant watch to make sure no new ice accumulates. Don’t forget to do it at the new place too. Make sure you are dressed appropriately for the weather; dress in layers. Your winter gloves and boots should be warm, but not too bulky. Keep plenty of extra warm clothing and blankets handy in case you need them. Remember to keep your head covered; you will retain more body heat. This may sound contradictory to the previous entry, but with people constantly going in and out of the house, the furnace is going to be working for nothing. It will just be a waste of money and energy. That being said – set up a few electronic space heaters where people can stand if they need to quickly warm up. Delicate electronics don’t like the cold. If the weather is really frigid, your electronic items may be damaged. Wrap your electronics in moving blankets to keep them warm; try and get them into the new place as soon as possible where you can place them near a space heater. Find a place to board your pets during the winter move. The cold will be pretty miserable for them. If your children are older, they can probably help out with the move. But, smaller children are not going to enjoy the move if it is cold. As well, it can be dangerous for them and adds a distraction for you. If possible, find a babysitter on moving day. Don’t leave anything to chance; more things can go wrong during a winter move. Always have a back-up plan for everything. Winter moving requires experience, knowledge, and skill. Only the best can do it right. That is why you need Best Canadian Movers. Fully bonded, insured, and licensed, Best Canadian Movers has been serving Burlington, Brampton, Richmond Hill, and the entire Greater Toronto Area for over twenty years. Snow, ice, cold; we have seen it all and have moved in it all. With Best Canadian Movers, you will get exactly what we promise, regardless of the weather. Contact us today for an estimate! A well-organized move takes planning; planning takes time. If it can be helped, avoid a rush-job move. Whenever a move is rushed, things are always forgotten; mistakes are made; and chaos ensues. Before your move, you need to sit down and plan out every aspect of it. The benefit of time gives you time to change your plan and think of things that you had not considered. It just makes good sense. Ideally, you want to give yourself at least 6 months to plan out a move. If it is a little more sudden, then take that extra time in your life to devote to moving. A good plan will alleviate your stress levels on moving day. Bills, agendas, schedules, cheques, identification…moving usually requires many different documents. Losing any of them can lead to problems and stress. No matter how organized you usually are, the chaos involved in moving will always throw you off. You may lose track of things that you would normally be on top of. Get ahead of this by having a specially designated document box or folder that will hold all the papers you will need. This way, you will know wherever everything is when you need it. Everything won’t go as planned; it rarely does in such large endeavours. What is more important is how you react to it. Don’t lose your head if things go sideways; they probably will at times. Roll with the punches and solve the problem, but keep a cool head. Don’t get too upset; it will be harder for you to solve problems. Consider getting a storage space for your moving day. You might find out on the day of that everything won’t fit into your new place. You could fall behind schedule and need a fast place to store everything in a rush. Hopefully, you won’t need a storage space, but it is nice to have in your back pocket. Luckily, most good moving companies offer this service. No one wants to be the person who bothers their friends for moving help, but sometimes it can’t be avoided. It just makes your life easier. Ask a few of your closest friends and buy them a meal for their help. You and your friends may be able to move all of your belongings, but why bother? It is hard, sweaty, and often frustrating work. If you are not careful, things can be broken and people can get injured. Why not let the professionals do the heavy lifting? It just makes good sense. Try Best Canadian Movers. Operating for over two decades, Best Canadian Movers is a fully bonded, insured, and licensed moving company that operates in Toronto, Burlington, and the entire Greater Toronto Area. Employing the best movers and trucks, Best Canadian Movers will always provide you with exactly what you ordered. We promise to make your moving day as stress-free as possible. Contact us today for more information. Why Choose Best Canadian Movers? Need to know what moving company in the Mississauga area to use for your next move? While we could certainly give you a long list of reasons why Best Canadian Movers is the right Mississauga moving service for you, we’d prefer to let our customers do the talking! As a business, there really is nothing better than receiving unsolicited feedback from your customers who take the time to contact you and share how happy they are with your services. Best Canadian Movers has been in business for more than 20 years, and even still, we are constantly trying to improve what we do for our customers. We take all feedback, the good and the bad, and use it to learn and further develop our business. Best Canadian Movers offers both residential and commercial moving services in the Mississauga and Toronto areas and can assist our customers with storage needs too. Our business focuses on not only properly moving your possessions, but also in having movers who are professional, courteous and knowledgeable. We’d love for you or your business to feel as good as these clients do when it comes to moving! We know that moving can be a stressful time, but the Best Canadian Movers team does everything they can to make moving as efficient and convenient for you as it can be. Visit our website to read additional customer testimonials and then contact us to get your free moving quote. Once you’ve made the decision to move, the list of things that need to get done can seem quite daunting. The best advice is to take the time to make a master list and get everything organized and complete before the moving company shows up with their trucks on moving day. How Do You Decide On The Rental Truck Size For A Move? So you’ve spend some time investigating professional movers in the Mississauga area but you still aren’t sure if hiring a moving service is what you need to do. Moving can be a very exciting time but there is no way to get around the long list of tasks that come with moving. And with every move comes the following question – should I move myself or hire a moving service? If you aren’t sure about hiring a moving service, the other option is to do the move yourself. But how do you know what type of rental truck you would need, what size of truck and how long you would need the truck for? While doing a DIY move may seem like the more frugal option, there is so much more time and effort that needs to go in to sorting the logistics of moving yourself than people often realize. What do you need to consider before you rent a moving truck? Did you know that if you are moving five to seven rooms, you would need a 26 foot truck? Would you be comfortable driving such a large truck? Rental truck websites have great information on the cargo interior measurements, but that doesn’t mean it will be easy to figure out how to best load your furniture and boxes. The distance you are going – Truck rental companies may have limitations to how far of a distance you can travel or whether or not you can cross provinces or states. When you need the truck – Booking a rental truck for moving requires a lot of advanced planning. The right size of truck may not be available when you need it and yet, having to work with a truck that doesn’t accommodate your full load will result in delays and essentially, more work. Insurance – This is a big one – make sure you understand your coverage. The rental truck company will offer you insurance but it is worth looking into what your credit card may offer as well. Does the coverage include property damage or just collision? Make sure you are fully protected. Additional rental expenses – Rental truck companies may have dollies and pads to help with the move and protect your items but you will have to pay to use them. Keep this in mind when budgeting your move. Weather – Depending on where you are located and what time of year you are moving, be prepared for the weather to impact your moving plans. Do you feel confident to drive a very large truck in the snow or during a rain storm? At the end of the day, the decision to move yourself or to hire professional movers comes down to time, effort, money and experience. Moving yourself is stressful and forces you to become an expert in an area that you most likely have little knowledge. So, what is your time and peace of mind worth to you and your family? Best Canadian Movers is a family owned and operated professional moving service serving Mississauga customers as well as customers throughout the Ontario region. Our superior customer service is rooted in our consistent effort to satisfy every single customer. Let us help make your move a more enjoyable and less stressful experience – contact Best Canadian Movers for your free quote! Best Canadian Movers can help you plan your next move! There are so many reasons why people decide to move – retirement, new job, going to school or perhaps a change in lifestyle. If you’ve made the decision that a relocation is in your future, it can be quite a bit of work to find the location that meets all the needs you are looking for. Best Canadian Movers is a residential moving company that serves the Mississauga area and can attest to how wonderful the City of Mississauga is – plenty to offer anyone looking for a new place to live! Listed in the top 60 places to live in Canada, the City of Mississauga has a low crime rate, healthy population growth, a diverse population and a strong public transit system. If you don’t know much about the City of Mississauga, these highlights are worth considering as you search for your next home. Port Credit, a west end section of Mississauga located along the lakeshore, holds the number seven spot when it comes to best places to retire in Canada. The beautiful trails and parks, along with the vibrant restaurants and events organized by Port Credit’s Business Association are just some of the reasons that make this area a sought after Mississauga location. With more than 20 parks, there is plenty of outdoor space to enjoy. Many parks include picnic areas, leash free zones and spray pads just to name a few of the well maintained amenities. Mississauga’s cycling network covers more than 400 kilometres of on-road bike lanes, multi-use trails, off-road trails and bike friendly roadways. There are also plans to develop more than 900 kilometres of on and off-road cycling routes in the next 20 years. There is a vast array of culture to be discovered in Mississauga too! From amazing performances at the Living Arts Centre or the Meadowvale Theatre to events at Celebration Square, residents are able to choose from so many options. Mississauga is also home to several fantastic museums. A very long list of Fortune 500 companies have head offices located in Mississauga making it a great location for career advancement. Education is also very accessible in Mississauga with both the University of Toronto and Sheridan College having campuses located in the city. If Mississauga sounds like the location that will fit your needs, Best Canadian Movers would be happy to help you out! We are affordable Canadian movers serving residential and commercial customers. We know that our expertise will make your moving experience less stressful and more enjoyable – contact us today to arrange your free quote. It is such a big decision; how do you know when the time is right to move? What sign is there to tell you that it is a good time to move and that you aren’t making a big mistake? I hate to be the bearer of bad news, but there is no magic sign. It is a decision we all have to make our own. But, deep inside, you know when the time is right – we just have to convince ourselves sometimes. However, there are some life situations that might offer hints to you that it may be time to pack up and head off to greener pastures. It is often said that if you want the answer, follow the money. A sudden – or even slow – increase in your income may dictate that it is time to move to a larger and more expensive home and, if you can afford it, then why not consider it? It works both ways. Your revenue stream may have slowed down and it may not make sense to pay such a high mortgage or rent anymore. Either way, your financial situation is always an important factor. There are so many variables to this entry. It could be a partner moving in with you; you may have a child on the way; family could be coming for an extended stay; you may decide to bring in a roommate to help with the bills; your parents may move in with you. There are a hundred different ways your family could expand in your home. Even one extra person requires more space and your current home may just not cut it. You, or a family member, may have an exciting new job or promotion that requires you to relocate. 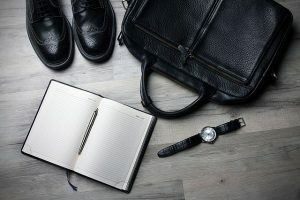 If it’s not a new job, maybe you are just tired of a long commute and want your free time back so decide to move closer to work. A family continually grows even when new members are not being added. I shared a room with my younger sister until I was 6; then, my family moved into a bigger house and I got my own room. As children become teenagers and teenagers become adults, you will find that more space will be needed. For whatever reason, you may feel it is time to freshen up your life and start over again. Starting in a new location will help you move forward without hanging onto the past. Like individuals and families, neighbourhoods grow as well. But, the change isn’t always for the better. The area that was so nice and quiet five years ago may now be plagued by loud bars, increased traffic, and other issues. It may be time to leave. The decision to move is a serious one and when you finally make it, you don’t want any additional stress. That’s why it is important to pick out the right moving company. Best Canadian Movers is always the right choice. With 20 years of service in southern Ontario including Toronto, Mississauga and Richmond Hill, Best Canadian Movers can provide you with all of your moving needs including 24/7 service (no extra charge for weekends or holidays), professional packing and unpacking services, specialized equipment for moving heavy items like pianos, and all sizes of moving trucks. Our courteous and professional team will always make sure that you get exactly what you ordered. Call us today! This is the most prevalent shady tactic. The company will quote you a lower price, pack up your belongings, and drive off. The next time you hear from them, they will be telling you that the price was actually higher than the quote and start demanding triple or even quadruple than what was originally agreed upon. They will not give up your property until you agree to pay the charges. This one usually goes hand-in-hand with hostage taking. Again, it will start with a low quote, but there will be hidden charges that you don’t find out about until after they have your items. 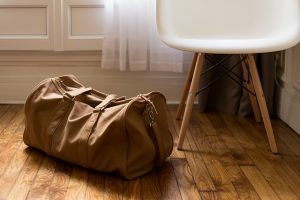 These charges could include arbitrary things like items were packed “wrong”, things were too heavy, parking was not convenient at your new home, and other silly things. It is just an excuse to get more money from you. Sometimes you don’t even see a truck. The company asks for an unusually high deposit; you pay it and then never hear from them again. The worst kind of scammers will take your money and then just abandon the (usually rented) truck in a parking lot. Sometimes they even take your personal belongings. An extremely low price quote. If it is too good to be true, it probably is! The company has no physical address or it is just a residential home. There is no website; every company has a website in this age. Of course, the best way to avoid a moving scam is by going with a moving company that is fully bonded, licensed, and insured who also has a top-notch reputation in Toronto and the surrounding area that can be backed up by testimonials. Best Canadian Movers is that type of moving company. With over 20 years of service in the southern Ontario area, you will always get what you ordered with Best Canadian Movers. Call us today and we will give you peace of mind about your move. Cats and dogs are not very difficult. You can keep them with you, or if that is not feasible, leave them with a friend or at a kennel. The pets that are difficult to move are the ones that need their homes moved, as well. Aquariums are notoriously difficult to relocate, and water-less tanks (for snakes, reptiles, or tarantulas) are also tricky. Birds can be moved in their cages by car, but if the trip is long, it will be stress on the animal. Another issue to consider is the risk of escape. Despite all of this, pets can be moved; you will just need to consider your options. Don’t leave it for the last minute. You cannot simply put a potted plant in the back of a truck. They will probably tip over and not survive. Plus, all of your items will be covered in soil. Smaller plants can simply be moved – pot and all – in your car. Plan ahead by moving the plants from pots to plastic containers, a few weeks before. Clay pots are very heavy and break easily. Don’t water your plants immediately before the move to cut down on unnecessary weight. Remember to unpack them right away and give them a fresh drink in their new space! The nightmare of all moving items is the piano. Big, bulky, heavy, and full of delicate and small parts, pianos can cause the ultimate headache. Many people give up and simply leave them behind. That is not necessary. First, consult your movers right away so they can prepare. It is strongly recommended that you do NOT try and move a piano yourself. You could damage it or, even worse, someone might get hurt. Leave it to the professionals. Many new homes will come with fridges, stoves, and washer/dryers already installed. However, if you have a custom-made or an especially expensive appliance, you might plan on bringing it with you. Large household appliances are difficult to move because of their size and weight. Another thing to consider is that you may need an expert to disconnect and re-connect some appliances (like dishwashers). Remember that any fuel-powered appliances or tools will need to be drained completely of gas before being moved. These items are a challenge because of their fragility and the inability to replace them. You may want to move any art or family heirlooms in your car. Wrap pieces in blankets, towels or special packing paper, if possible, and be very careful when packing and loading them on your own. The best way to move any headache item is by working with the professionals. At Best Canadian Movers, we will pack, move, and unpack all of the items at your request (including pianos!). Our courteous, prompt, and experienced staff will make sure all of your items are packed and wrapped up properly with clean-padded blankets and shrink wrap, and fragile items are packed with tissue paper. You can rely on Best Canadian Movers. Call us today! About three months before you move, make a list very similar to this one of all the things that need to be taken care of. Make sure to list everything that comes to mind (you can always edit it later). Get it started early so you can add things as time moves on. Figure out roughly how much the move is going to cost. Make sure to include start-up costs at the new place. There will always be expenses that pop up or that you weren’t expecting. That’s fine, but by doing early estimates you can get a rough idea of the cost. Find a good moving company early in the process. Don’t leave it for the last minute. You are entrusting this company with your valuables, so make sure you get a moving company that is licensed, insured, and bonded. Ask for testimonials from previous customers. Do your research. You can start right here . Credit card companies, banks, utility companies, schools, employers, family, friends….make sure you inform everyone of your new address. It is annoying to have to go back and collect mail at your old place. Moving is an excellent time to go through all of your items and decide what you really need and what can be purged. Think about it: if you aren’t using it now, do you really want to lug it over to your new house so you won’t use it there either? Go through everything and decide what you want to keep, what you want to sell, what you want to give away, and what you want to toss out. Winter (or summer clothes), Christmas trees, bikes, sleds… if you aren’t using it now, why not pack it up early? The more you do now, the less you have to do on moving day. If you have early possession of the new house, bring some things over by car a few days before. Set up the electricity, heat/AC, water, and internet a few days before you arrive. You do not want to have to worry about all that after a tough day of moving. Want to get started on your move today? Call Best Canadian Movers and we will help get you started. With over 20 years of experience in the Brampton and Burlington areas, we are a fully bonded, insured, and licensed moving company. We are professional and will make your big moving day as easy as possible. Contact us today! Let’s get this part out of the way first. There are a few things you won’t have to worry about when moving offices. The first one is the labour supply. Everyone knows what a hassle it can be to get people to help you move. You have to promise food, drink, favours… and that still doesn’t often work. Luckily, at the office, you will already have a pool of people who are already being paid to help you. Organize them weeks before the move and have teams who will be responsible for packing, setting up infrastructure, and arranging the new office floor plan. The other thing you don’t have to worry about? Professional movers! At Best Canadian Movers we offer experience and know-how in office relocations. Now, let’s talk about the harder stuff when it comes to office moving. How much will it cost you? Get an estimate; the best movers will give you a free one. Don’t forget that the move will likely cause a shut down in business. When calculating how long you will need to be closed, it is always better to overestimate than underestimate. It is best to open earlier than expected, rather than later. Finally, packing an office can be a lot more troublesome than a house. Get the professionals to do it! Let Best Canadian Movers pack for you! Moving offices can be a hassle but it doesn’t have to be. Planning and selecting a quality moving company will make the switch much smoother. Best Canadian Movers is a family-owned and operated moving company that serves Toronto and the entire GTA. For over two decades, we have built a strong reputation with our customer service and professionalism. Please contact us for more details on how we can make your move the best one possible.